Reviewing an assignment assistance site means investigating all of the features of the site, but we place importance on quality, support, guarantees and privacy protection. Compared to others, Globalassignmenthelpperforms decently in all these aspects. The site however, is a bit long winded and requires a lot of scrolling. In terms of policies, they are clearly stated on the site, but are lengthy. Students will have access to any information they need before they make an order, if they are willing to read through it all. The policies helped us feel comfortable with confidentiality before we placed an order. A nice touch is the ability to choose your location on entering the site. The paper we chose was well written, well researched and delivered on time. The writer was clearly an expert and did a good job of writing an original paper that was creative and likely to get a good grade for a degree course. The support team was responsive and helpful and we didn’t have to wait very long for assistance. The site covers a diverse selection of topics that include law, business, electronics, finance, programming architecture, literature, economics, hospitality management, marketing, physics, history, computers, chemistry, mechanical engineering and so much more. This site claims to be pocket friendly and does offer reasonably competitive prices, though they certainly aren’t the lowest ones available. The final cost of the paper depends on the length, the quality level and the deadline. There are three quality levels available: 2:2 Standard, 2:1 Standard and First Class, with First Class being the highest. A basic essay with a deadline of 20 days costs between $7.30 and $10.69 per page. Shorten the deadline to 4 hours and the price ranges from $31.50 to $46.13 per page. The cost of more research intensive or more complicated projects is also higher. This site offers something different than many of the other ones out there. They have an app and students who order from the app can save 25% + 5% by using it instead of other ways of ordering. Students who book their fourth order can take advantage of 20% off that order. Unlike some other sites, there doesn’t appear to be a loyalty program to offer savings to students. However, the relatively low prices help balance this out and there are occasionally special deals or offers that are available on the site and the app. Students are also offered discounts for referrals. One thing this site does well is offering extras to entice students to order. They can handle all kinds of formatting, including APA, MLA, Chicago, Harvard and many more. 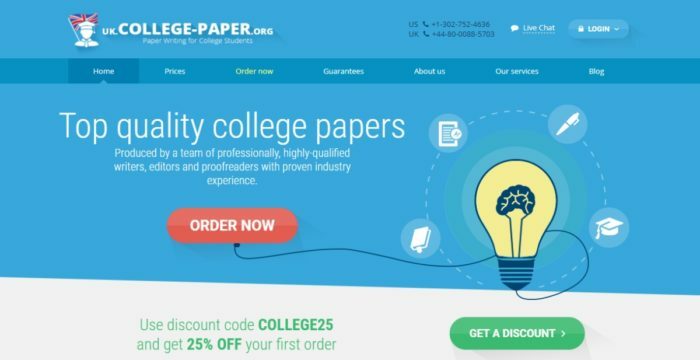 There is also a 100% satisfaction guarantee and a 100% plagiarism free guarantee to give students peace of mind with every order. Other perks include a free Turn It In Report, free online samples and a helpful blog that offers additional help with things like finding a job, being successful in class and a wealth of other topics that apply to a variety of classes and courses of study. Overall, this site is a pretty good one and gets decent reviews from us and other users. It’s a good choice for most assignments.